While on my visit to Gaza, I was shocked at how severe the shortage of electricity is now – a mere 3 hours of power per day. According to locals I spoke with, housewives complain about the daily power outages which hampers life; the lack of power prevents the use of the washing machine or the refrigerator which forces the family to buy groceries every day. The smell of sewage has also become a norm practically everywhere you go in Gaza. Gaza’s sewage treatment plant no longer works due to the electricity crisis and thus raw sewage is merely dumped in the sea. 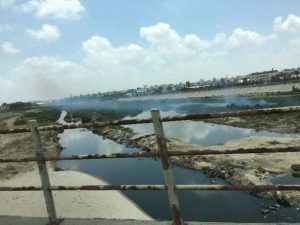 Untreated sewage has also infiltrated Gaza’s natural aquifer along with saltwater from the sea and chemical run-off, and given the demands of the population, there is a severe water shortage as a result. 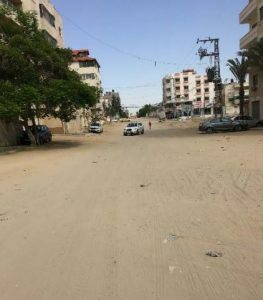 Sand‐covered roads are increasing throughout the Gaza Strip. During my visit and to my surprise, there were minimal number of cars and people on the streets. 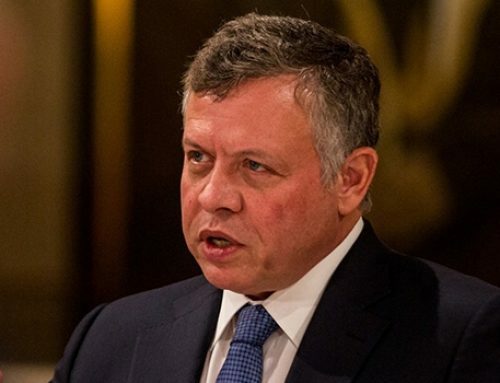 I was informed that this was mainly due to the recent decision by the PNA in Ramallah to reduce the salaries of some 70,000 public servants; in a few months’ time their salaries will be cut completely. Many employees have gone to the banks to withdraw money from their accounts only to find that the accounts are either frozen or in the minus from the lack of payment on their bank loans. Many people are unable to afford anything nor fill their cars with gas. In addition, there is a new restriction on the private consumption of diesel fuel, with a limitation of up to 50 NIS (Shekels) (app. 7 liters) per person. 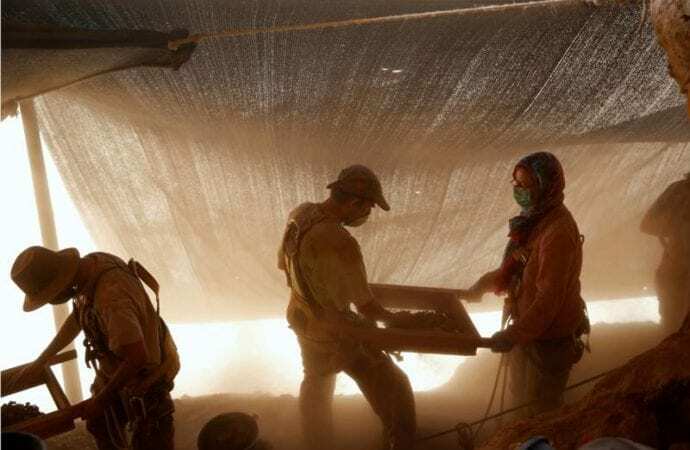 A combination of problems: the reduction of electricity and diesel consumption; a 40 percent unemployment rate; and the cut of public servants’ income has increased crime and theft in Gaza and locals are fearful for their personal safety. I suppose the only positive factor I witnessed was the availability of building supplies including cement and iron rods (for building construction) that has been allowed through the Rafah border crossing with Egypt. The question is: who can afford to purchase these building supplies with so many limitations on basic needs like electricity, fuel, clean water and a decent wage? In fact, during my previous visit about two months ago, people expected a new war with Israel and fretted how devastating it would be. Now, people expressed concern about having access to basic needs to survive. 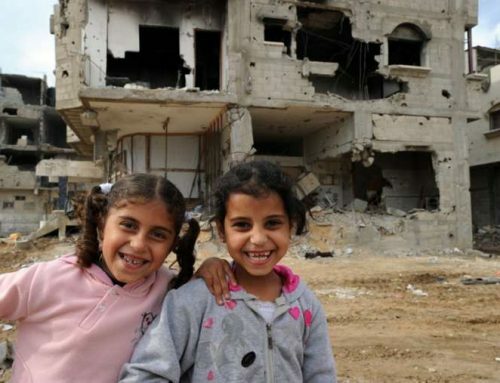 I suppose the predictions highlighted in the UN report in August 2012 “Gaza in 2020 – A liveable place?” may become a reality sooner than expected given that there are no real efforts to change the ‘status quo’ in Gaza. Despite this, one still must be optimistic and carry forth so that hope is not truly lost. Rosary Sisters School construction site. On my field visits to partner institutions, we were overwhelmed with news of expansion projects which will undoubtedly translate into better public services for the population. For instance, construction started a few weeks ago on a new building at the Rosary Sisters School. 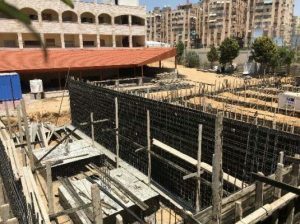 The building will consist of a large indoor auditorium, more classroom space and science labs, expanding the school and student body to the Tawjihi (11th and 12th grade) level. NECC’s VTC in Qarrarah will soon have a new program in the electrical department that trains electricians in installation and maintenance of photovoltaic solar panel systems as there is a greater demand for these systems in Gaza. Currently, this training program is the first and only specialized training program in this sector in the Gaza Strip. Another local partner, the Holy Family School, will construct an additional floor to expand and enhance its academic program. 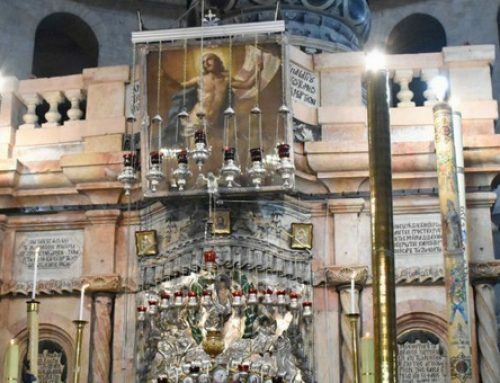 The Latin Patriarchate School is planning to offer a literary Tawjihi stream once the renovation of the school complex is complete. 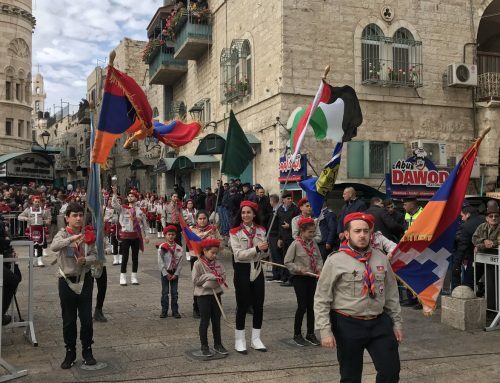 The Orthodox Cultural Center secured a grant to fully furnish and equip the first floor and complete construction of the second floor that will include conference halls and meeting rooms equipped with state-of the-art equipment. I also visited new institutions to explore other potential new projects (specifically Nawa for Culture and Arts Association through St. George Monastery in Deir Al Balah; and Qattan Foundation in Gaza City) which was encouraging given the number of children and youth activities at these institutions. 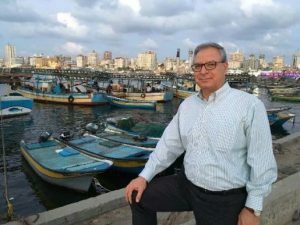 Thus, the institutional presence in Gaza is flourishing despite the general conditions and misery of Gaza which is truly inspirational and unmatched anywhere I have visited in Palestine and Israel. Doing so much with so little is something we all need to learn from our brothers and sisters in Gaza. Nurse ‐in‐training, employed under the three‐year training and employment program at Al‐Ahli Arab Hospital. As one would expect, one of the most critical issues for all people in Gaza is employment given that the general unemployment rate is still over 40 percent; the youth sector is as high as 65 percent and even 75 percent among young women! Our employment program in partnership with local partners is progressing extremely well as young graduates – both men and women, are gaining new skills and earning a decent wage for their families. I was very happy to receive briefings from our various employment projects. The Al-Ahli Arab Hospital’s three-year training and employment program currently employs 42 graduates in various departments of the hospital and over the entire project period, 99 jobs or 297 over the three years, will be secured. 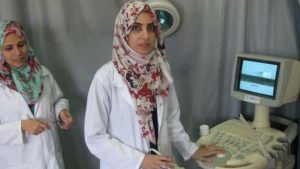 This includes professionals in the health sector which is one of the few growing sectors in Gaza as there is a number of new hospitals and clinics under construction. 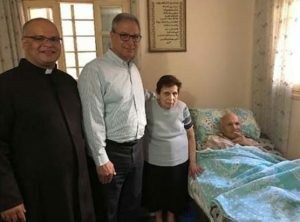 The Holy Family Parish’s two-year project just concluded its first phase employing five graduates, while the second phase will employ 16 graduates through the end of this year in collaboration with Al-Ahli Arab Hospital, the Orthodox Cultural Center, the YMCA, and the Latin Parish. Home solar panel system of beneficiary with Fr. Mario da Silva. As Gaza’s electricity crisis perseveres, our renewable energy program is changing the lives of people. On the institutional level, it was gratifying to see that the major project to install photovoltaic solar panel systems for the operating theater, the emergency room and the outpatient clinics of the Ahli Arab Hospital is complete and operative. The hospital staff were still in disbelief about how effective, simple and reliable the system is. Doctors, nurses and radiologists expressed their relief that the daily power outages will no longer disrupt surgeries, dialysis sessions and X-Ray and mammography tests which not only saves time but lives. On the community level, I went with Fr. 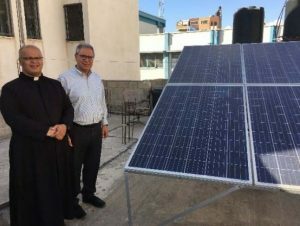 Mario da Silva- the parish priest in Gaza, to visit four beneficiary families out of the fifteen families who were provided with solar energy systems to generate electricity for their homes. It was heartening to hear the personal stories of the families and their desperate need for a reliable source of electricity. The case of Boulos Sweilem was the most compelling story to me. Fr. Mario de Silva and I visiting the home of Boulos Sweilem and his wife. About 7 years ago, Boulos Sweilem suffered a stroke that left half of his body paralyzed. He has been bed-ridden since then, unable to move only with the help of his family. His family was in desperate need for a reliable and continuous source of electricity to ensure that the air mattress pump operates continuously to avoid painful bed sores. His wife who is in her early eighties and a cancer survivor said: “we do not want the solar system to put the lights on at night, nor to operate a television or a refrigerator, but to ensure that the pump keeps operating so Boulos does not suffer more than what he already does!” Other cases visited are no less dramatic! My only sorrow is that I was not able to visit more families to let them know that they are not forgotten and we will continue to do what we can to support them. A stroll along Gaza port after a hectic day of field visits. Like all previous visits to Gaza, I came back recharged and energized simply by listening to people who live on so little and yet are so thankful to God for what they are blessed with. There is a stark contrast from other communities that we serve who have much better infrastructure and means. The resourcefulness and creativity of our people in Gaza are truly inspiring. Despite the challenging conditions of Gaza and the lack of any new vision for the future, hope is still alive. Please keep our brothers and sisters in Gaza in your thoughts and prayers.